When Uttar Pradesh assembly election 2017 is getting ready to electios new Assembly, Bareilly is not anywhere behind in the election heat. The Bareilly district (Hindi: बरेली, Urdu: بریلی‎) belongs to the state Uttar Pradesh in northern India. Its capital is Bareilly city and it is divided in six administrative division or tehsils: Aonla, Baheri, Bareilly city, Faridpur, Mirganj, and Nawabganj. 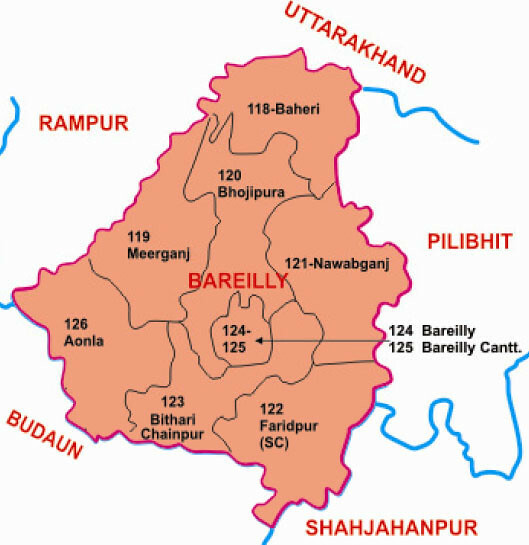 The Bareilly district is a part of the Bareilly Division and occupies an area of 4120 km² with a population of 3,618,589 people.